CNN was the #2 cable news network in Total Day in July, beating MSNBC for the 37th consecutive month in the demo adults 25-54. That is CNN’s longest winning streak over MSNBC in more than seven years (dating back to January 2010). CNN also beat MSNBC in daytime, with a 22% advantage. That is the 41st consecutive month that CNN has beaten MSNBC in daytime among adults 25-54. 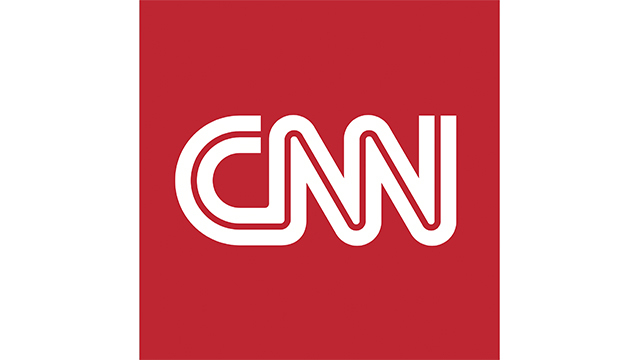 In addition, CNN was the #1 network in cable news in weekend prime time (8-11 pm) among adults 25-54, largely on the strength of its CNN Original Series (The Nineties, The History of Comedy and Declassified). Fox News in July posted its lowest monthly share of the Total Day cable news audience among total viewers in six years. Year to date, 2017 is pacing to be CNN’s highest on record in Total Day among total viewers and highest among 25-54 since 2003. 2017 is also pacing to be CNN’s second largest audience since 2008 in primetime among 25-54 and total viewers. For context, CNN had an unprecedented ratings lift and posted record high viewership leading up to, and throughout two big special events last July: the Republican National Convention (7/18/16-7/21/16) and the Democratic National Convention (7/25/16-7/28/16) a year ago. Specifically during the conventions, CNN ranked #1 among all cable networks during the week of the DNC and #2 during the RNC in M-Su/M-F Prime among both adults 25-54 and total viewers. MSNBC lagged far behind CNN and Fox News. Year-to-date, CNN continues to attract an audience that is five years younger than Fox News and MSNBC in total day, and seven years younger than Fox News and five years younger than MSNBC in prime time. CNN is tracking at its youngest yearly median age since 2008 in Total Day, while MSNBC is at its oldest on record. CNN’s The Nineties season-to-date (7/9-7/30/17): Is tracking ahead of the season averages for the other three decade series (The Eighties, The Seventies and The Sixties) among both adults 25-54 and total viewers. Overall and with every episode-to-date, The Nineties ranks #1 among 25-54 across cable news in its time period, outperforming the combined delivery of Fox News and MSNBC. CNN’s The History of Comedy Season 1-to-date (2/9-7/30/17): Ranks #1 among 25-54 across cable news in its time period. Versus the launch-to-date prior four time period average, The History of Comedy is posting the largest growth across cable news in the hour among both 25-54 and total viewers. CNN’s Declassified: Untold Stories of American Spies Season 2-to-date (7/22-7/29/17): Overall and with each episode to-date this season, ranks #1 among 25-54 across cable news in its time period. The program is tracking above its Season 1 performance by double-digit percentages among both 25-54 and total viewers.